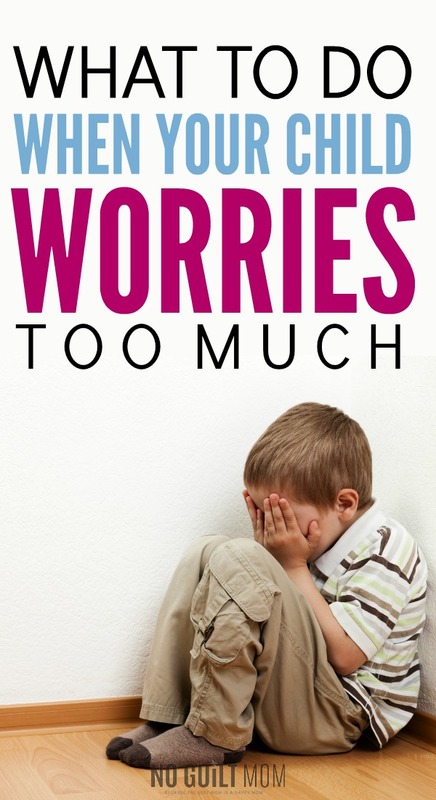 When your child worries too much, you might feel helpless? Here is a powerful method that I used to teach my daughter (and myself) on how to have more control over our own anxious brains. He pointed the gun at me and it went off. My eyes exploded open and there I was… safe in my bed, in my bedroom. It had to be around midnight. Phew, only a dream. I took a few deep breaths and turned my head to my open doorway that looked out into our dark hallway. There in the doorframe stood the shadow of a person watching me – as soon as I turned to face him he backed away and retreated into the house. My body glued to my sheets. Oh my gosh, he’s going to murder the rest of my family while they’re sleeping. I stayed awake until the sun pried through the white slats of my bedroom windows. Of course, my parents and little sister were completely fine. There was no mysterious man. But me… I couldn’t sleep for a month. Each night when everyone else went to sleep around 10PM, I retreated to our living room couch and watched old comedies on Nick at Nite. I Love Lucy, Bewitched and I Dream of Jeannie kept me company as I refused to close my eyes. That is until I could see the little bits of sunlight appear behind the living room curtains. This went on the entire month of June. I worried about someone breaking into our house and I being asleep and not able to stop him in time. I was 13. What can we do when parenting an anxious child? As parents, the first thing we want to do is assure our kids there is nothing to worry about. But, that doesn’t usually work. Think of when you stress about a big deadline. Does it help when someone tells you it’s not a big deal and you shouldn’t worry about it? Of course not! Everything you worry about is a big, stinkin’ deal! And it’s the same for our kids. The best tip is to show our kids that there are lots of different aspects of their lives. When they are stressed they can CHOOSE to focus on the other areas. According to the authors of the Whole-Brain Child, when kids learn how to integrate all aspects of their feelings, sensations, images and thoughts, they become better able to handle emotional stress. Think of a bicycle wheel. The center of the wheel – the hub – is still and calm when the wheel is in motion. Your hub is the same. It’s the part of the mind that can calmly evaluate what else is going on in your brain. On the outside rim of the wheel are all the other thoughts – stress about school, aching from dance class, excitement about playing a game at recess… and the fear over going to sleep. When we only focus on one of the those things, we are making the choice to ignore all of the good things. How do you explain this to kids? Like me, my nine-year-old daughter is prone to anxiety. She can fixate on stress so much that it causes her physical symptoms like stomach aches and headaches. Also, she resists EVERYTHING I try to teach her. If your children resist you in the same way, you have to get a little creative. I appealed to her curiosity. At breakfast this morning, I dug into our fruit bowl and took out an apple. 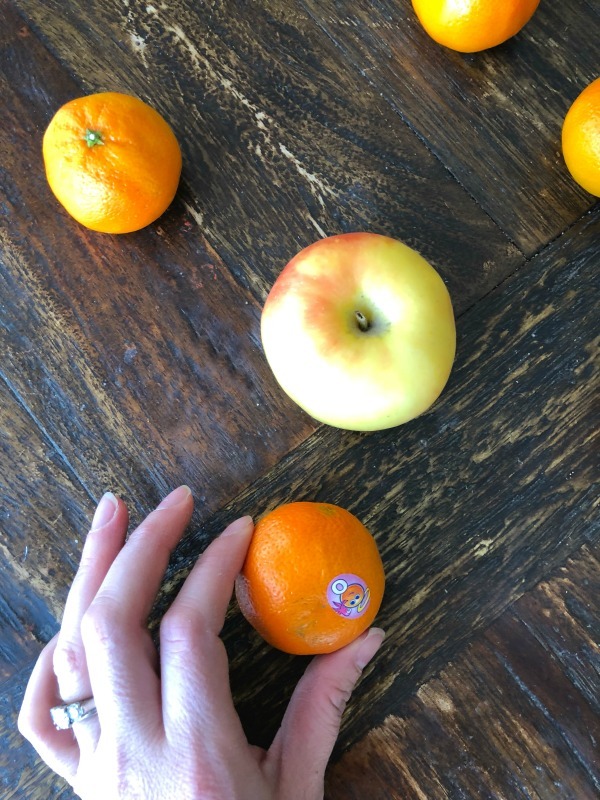 Then, I took the smaller clementines and placed them in a circle around the apple. I saw her staring at me from the kitchen counter. But, I didn’t say a word. Instead, I pretended to be completely focused on my fruit. That’s when I got her. Me: I’m trying something I learned in a book that helps calm me down. Then, I explained how the apple was my hub and each clementine was something that was on my mind. My stress about having to write a blog post that day. Anticipating getting coffee later that morning. My aching thighs from my run yesterday morning. Excitement for the afternoon when I would get Poke. Me: See, I have all these things that I could focus on that if I chose just to think about my aching legs and my fear of writing, I would be ignoring everything else. Instead, I can choose to focus on what makes me happy and feel better instead of miserable. She looked at it, taking it in. Then I cleared off the oranges and asked her what her fruit wheel would look like. She picked a few and placed them on the table. Daughter: THIS one is for ice cream. This other one is for ice cream. Here’s another ice cream. Ice cream again. Me: Remember how you were upset about your lunch box not being dry this morning? Here’s one for that. Here’s one for when you felt angry at your little brother. Daughter: And then there’s all the ice cream. Me: Yep. And you can choose to focus on all of it to be happier instead of the events that just stress you out. She was silent on that one. I’m pretty sure she got it. With me and my fears of sleeping, I could have used the mental image of my hub to help me NOT focus on that one traumatic image. Instead, see all the different aspects of my life and work to focus on those instead. Is it a cure all? No. But knowing that we have tons of thoughts and emotions within us at a single instant, it would comfort any scared child to know that they had options. Teaching kids about their own hub will help any anxious child and stop those child worries from completely taking over.